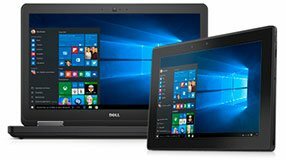 We stock all Dell parts needed to service your Dell laptop and we are the prefered Dell laptop repair center for hundreds of repair shops nationwide. We want your laptop repair to go as smooth as possible. Below we have explained the entire laptop repair process. If you still have questions or concerns, please contact us. Fill out our online service form. You will receive an automatic email confirmation from us within minutes. Print out your email confirmation page / packing slip and get your laptop ready for shipment. The service form must be filled out before any work can be done. We will take care of all shipping arrangements for a flat price, including shipping you a special laptop box. This box will include instructions for packaging and a FedEx Prepaid shipping label.The package will include a $1000 of shipping insurance. Take your laptop to a UPS Store or FEDEX shipping station. There, they will package your laptop in a laptop approved box including the packing slip you printed out earlier. When your laptop is received by us you will receive a courtesy email to let you know that it has arrived. A technician will then diagnose and determine what parts will be needed for the repair and how much it will cost. You will usually receive a call with those details in two to three business days. No work will be done without your approval. Payment is not due until the service work is complete. You will receive a call from a service technician with the total. We will take credit card over the phone or we can send you a paypal money request. When you receive your laptop back, you will notice that is clean, and it works great. You will also be very satisfied with our overall quick turn around, affordable prices, and our advanced knowledge of Dell laptops. We provide your laptop's firmware with the necessary hardware updates (BIOS Flashes) to ensure your hardware is up-to-date. Part of our service is to clean and dust the laptop inside and out. 2) We will ship you a laptop box with a prepaid shipping label to ship it back to us. 3) A technician diagnose and repair your problem with 2 business days. 5) Laptop is shipped back to you and tracking number emailed to you.